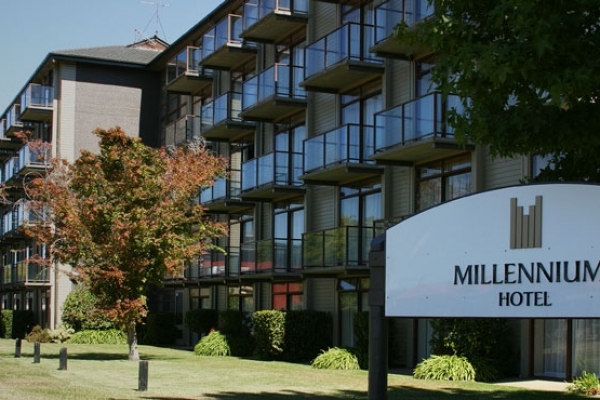 New Zealand offers a great selection of Conference Hotels and Meeting Venues in a diverse range of destinations. Locations like Auckland, Wellington and Christchurch offer business travellers all the convenience & facilities expected in a world class city. Regional destinations like Queenstown and Rotorua offer conference delegates high quality conference facilities, great accommodation, beautiful scenery and a great range of adventurous or relaxing team building activities. These destinations are popular with conference organisers as they provide unique and memorable experiences for delegates. New Zealand's main cities of Auckland, Wellington and Christchurch each feature International Airports and are serviced by several flights per day from Australia. Flight time is approximately 3 hours. If you would like us to suggest a suitable convention venue and/or accommodation for your next meeting or presentation, please let us know what your requirements are on the Enquiry Form and ask us for our suggestions. Alternatively, you may wish to phone us for suggestions on +61 2 9318 2361. 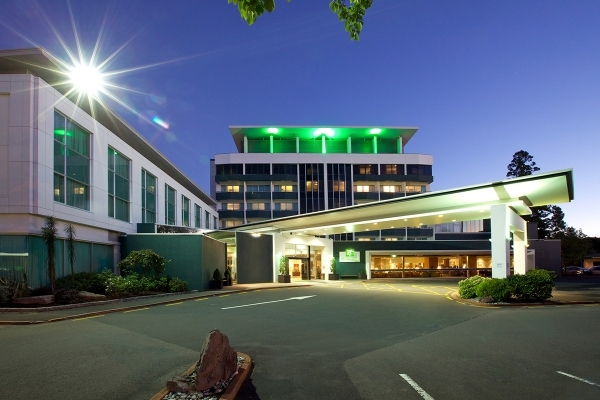 Rydges Auckland is a popular and well received conference venue in central Auckland, overhauled in 2010 the property has a fresh contemporary feel that will impress delegates. Rydges Auckland offers a variety of flexible conference space, from large meeting rooms and executive boardrooms to a stunning roof top terrace and a spacious pre-function area. 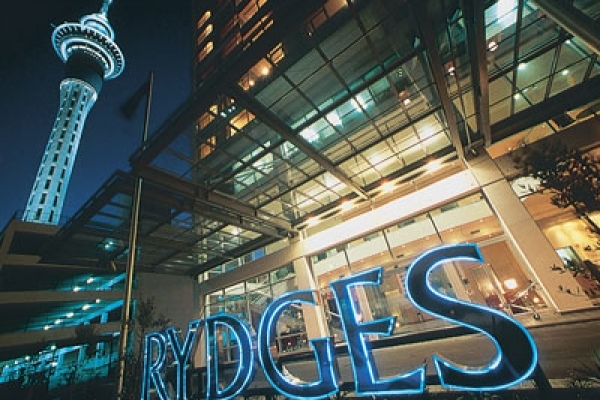 Rydges Auckland also provides first class food and beverage options and a full range of presentation technology. 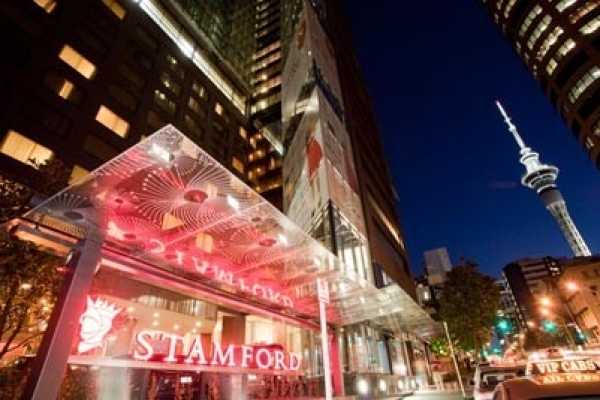 Stamford Plaza Auckland offers meeting planners a 5 star venue in a convenient location, close to many of Auckland's great restaurants, bars and entertainment venues. This conference venue features a large pillar-less ballroom, a selection of smaller rooms for breakout groups or board meetings, first class catering and spacious accommodation. The Stamford Plaza Auckland can provide a high quality professional venue for your next conference or meeting in Auckland. 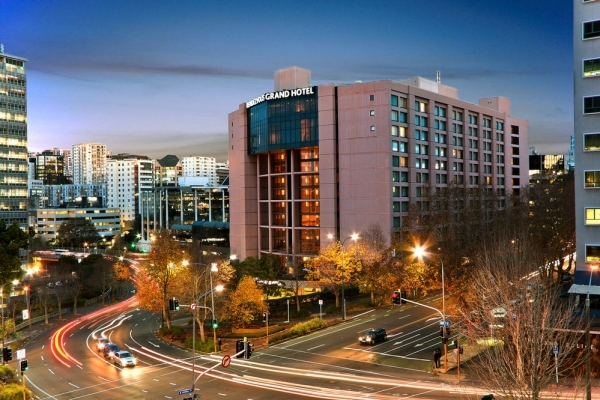 Rendezvous Grand Hotel Auckland is one of Auckland's premier conference hotels conveniently located in the city centre close to Auckland Convention Centre, Auckland Town Hall, Viaduct Harbour and Queen Street. This high quality business hotel and conference venue features a Grand Ballroom that can seat 800 people along with a selection of smaller meeting rooms and boardrooms. Rendezvous Grand Hotel Auckland offers your delegates first-class accommodation as well as great dining and leisure facilities. 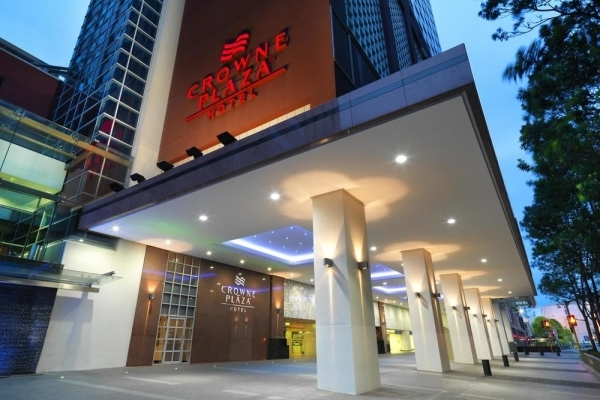 Crowne Plaza Auckland is a hotel and conference venue is situated in the heart of the city’s CBD in Auckland's entertainment precinct and is surrounded by great shopping, restaurants, bars and cafes. Auckland International Airport is 50 minutes away by taxi or shuttle. Heritage Queenstown is a 4.5 star resort and conference venue in Queenstown on New Zealand's South Island. Queenstown is a popular destination as it offers conference organisers easy access and a wide variety of activities in a picturesque environment. The meeting rooms at Heritage Queenstown can seat up to 200 people and offer natural light, the hotel also offers a roof top deck and exhibition space.